We want to recognize and thank our men and women in uniform. If you have served in the U.S. military, please take advantage of our discount policy. This offer is limited to anyone with a current, valid United States military ID or DD214 (or the new AZ driver’s license with the “Veteran” designation). That can mean husbands, wives or children under 21. While veterans are eligible for the discount, their immeidate families are not. Please note that if you are working for the DoD as an employee or contractor, unfortunately, you are not eligible for the discount. Only active duty members of the US military and their families, as well as veterans, are eligible. Anyone using the military discount without a military ID or DD214, or new “Veteran” AZ driver’s license, will not be able to pick up their bib, will forfeit all fees and will be banned for life from our races. You MUST show a valid military ID or a copy of your DD214 (or the new AZ driver’s license, or other official state issued ID, with the “Veteran” designation) in order to pick up your bib. You must pick up your packet in person–someone else may not pick it up for you. In order to preserve the integrity of this discount, we will not release a military discounted bib without the proper ID. If any active duty service-member registers and subsequently receives orders that prevent them from attending the race, we will refund your registration fees 100%, including race extras and processing fees. 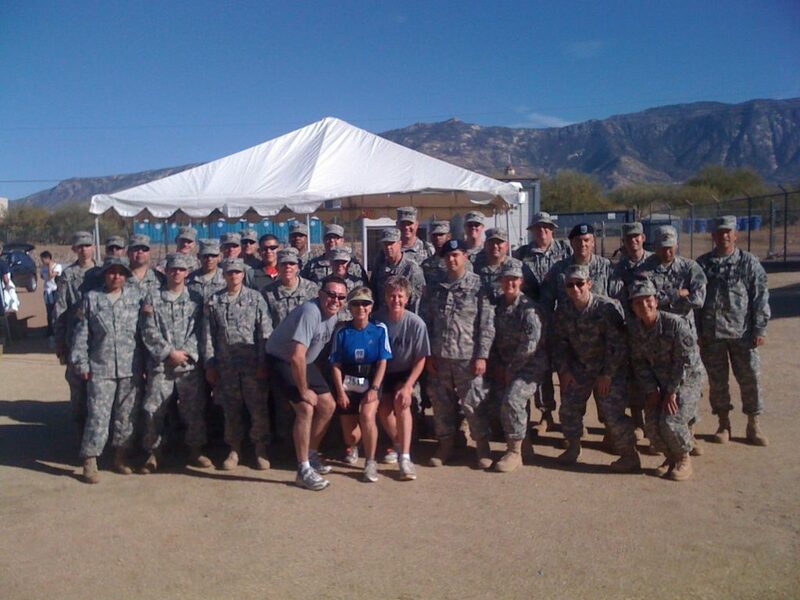 If you deploy, we will give you a free entry into any one of our races once you return from service. Registrations that use the military discount cannot be transferred or sold, but are subject to our normal refund and deferment policy for reasons other than deployment.